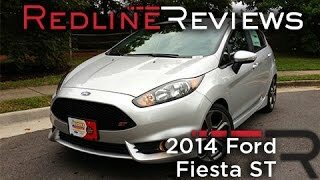 The 2014 Ford Fiesta ST made its global debuting at the 2012 LA Auto Show. 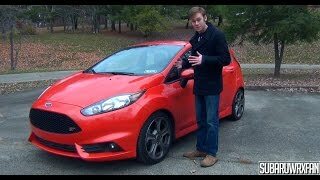 The new Fiesta ST is Ford’s latest and hottest hatchback to wear the Sport Technologies badge, a global performance brand that debuted in North America earlier in 2012 with the launch of the Focus ST. Ford Fiesta ST will be available exclusively as a five-door hatchback in North America and with a six-speed manual transmission and is projected to achieve up to 34 mpg. Under the hood the Fiesta ST comes with an award-winning 1.6-liter EcoBoost four-cylinder engine, rated at 197 horsepower and 214 pound-feet of torque. 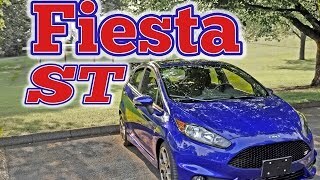 Thanks to the EcoBoost technology, with 177 lb.-ft. of torque available from just 1,600 rpm and 214 lb.-ft. by 3,500 rpm, Fiesta ST gives the performance and feel of an engine twice its size.